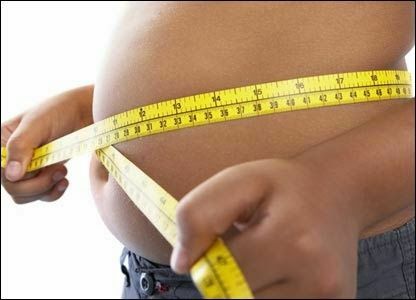 Obesity is one of the most common health disorders that people all over the world suffer from. Many people feel ashamed caused by obesity and they want to get rid of it. Obesity is one of the most deadly enemies of mankind health; it might be causes for cardiovascular disease, diabetes and many more. Obesity is a condition of excess storage of fat in adipose tissues in our body. It causes due to lack of exercise and unhealthy diet; also it may be a generic disorder. It can be caused by hormonal imbalance, excessive intake of fast and junk foods and sedentary lifestyle. Imbalance structure between energy intake and energy uses. Obesity increases when less exercising. Excessive intake of fast & junk food. More corpulent diet is another cause of obesity. Sometime it may be a hereditary or genetic disorder. The conclusion is that, balanced and nutritious diet is the key for healthy body. So try to eat more organic fiber grains and foods. Let discuss about the useful home remedies to cure from obesity. Lemon is the best antioxidant with rich of vitamin C. It helps to reduce adipose fat and also cure from overweight. Take a glass of water and boil it for a few minutes. Therein add juice of a lemon and two tablespoon of honey when the boiled water will becomes lukewarm. Now, you can make a juice by shaking it. Drink this juice on an every morning with an empty stomach to get rid from the obesity. Use this treatment on a regular basis for at least two months to get effective results in obesity. Apple cider vinegar helps to burn your unwanted stomach fat; it also work to make your body fit and balanced. Drink a teaspoon of Apple Cider Vinegar before sleeping. This will burn your body fats and make your body fit and attractive. Green tea is an excellent remedy for obesity. It helps to cure from unwanted belly fat and storage fats from your body. Drink a cup of green tea thrice in a day. You will see the effective results in just a few days. Triphala is the miracle remedy; it has been used since ancient times to cure from many diseases. It is a effective mixture of three fruit Harad, Baheda and Amla. Soak a teaspoon of triphala powder into a glass of water before sleeping. Next morning, take this water to boil on a slow temperature; filtering when it becomes half in amount. Then therein add two teaspoons of honey and drink it when it becomes lukewarm. You will see the positive results in just a few of days. Exercise and Yoga is the key thing to control all the body structure. Just try to do some exercise and Yoga poses to get rid from obesity and other diseases. Exercise and yoga is the best mechanism to have a balancing, fit and healthy body. You can do some yoga poses such as Seated Forward Bend Pose (Paschimottanasana), Cobra Pose (Bhujangasana), Tree Pose, Bow Pose (Dhanurasana) and Triangle Pose (Trikonasana) to get rid from obesity. Also you should go for a morning walk daily. Lukewarm water is the best source to remove unwanted fats from adipose tissues. Drink 5-6 sips of lukewarm water after eating foods. Make sure to keep at least 30 minutes gap between foods and water. Precautions: - Do not drink water immediately after eating food. Do exercise at least half an hour every day. Take care when eating, do not overeat. Avoid Sugar; sugar is causes for extra fat. Eat more fiber and whole grains food. These tips and remedies are helpful to get rid from obesity and overweight. You can make comments for queries or suggestions. You can tight your skin with some of exercises and yoga. No, Never. Drink only in the morning. i have tried this.,after u use this for more than 2 - 3 weeks, u get short dry coughs,more like an itch..what to do?.should we ignore this? You should ignore it once. If it will occur continuously then stop use of this remedy and consult with a specialist. You can use any one from given remedies along with some exercises.